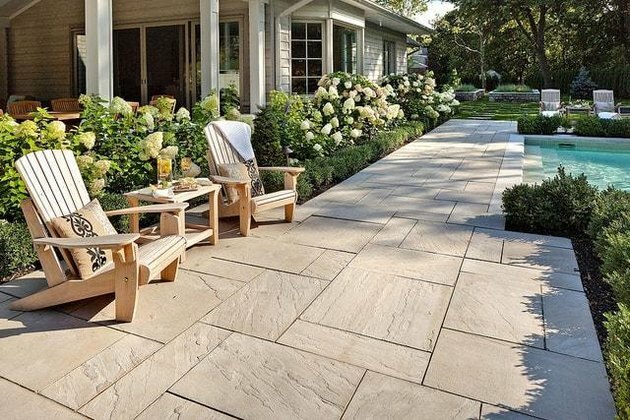 When you hear the words 'concrete patio,' you probably picture a no-muss, no-fuss boring old slab of light-gray stone, but stamped concrete is a different story. 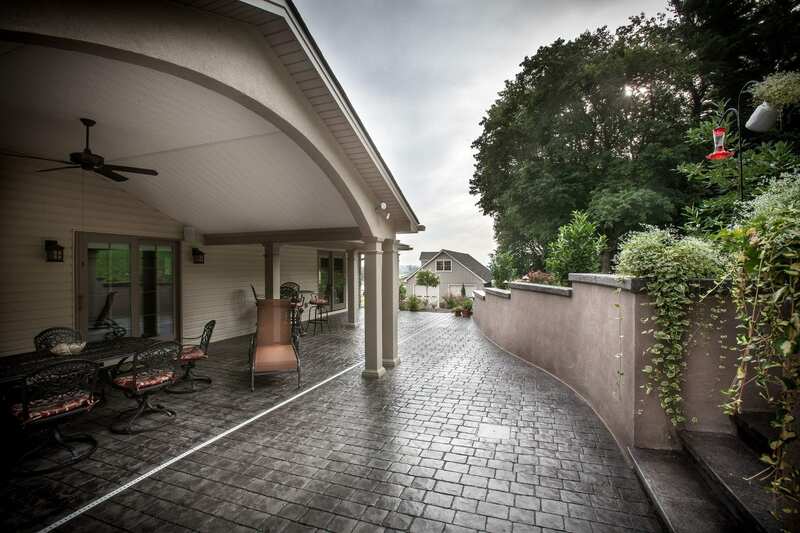 Quickly becoming one of the most popular types of hardscape material, stamped concrete lets you pull off a high-end look without the high-end cost. Additionally, it's durable, easy to install (you can even do it yourself), free of cracks for grass or weeds to grow through, and it's surprisingly customizable. Check out these seven gorgeous stamped concrete patio ideas for a little inspiration, and before you know it you'll be designing one of your very own. 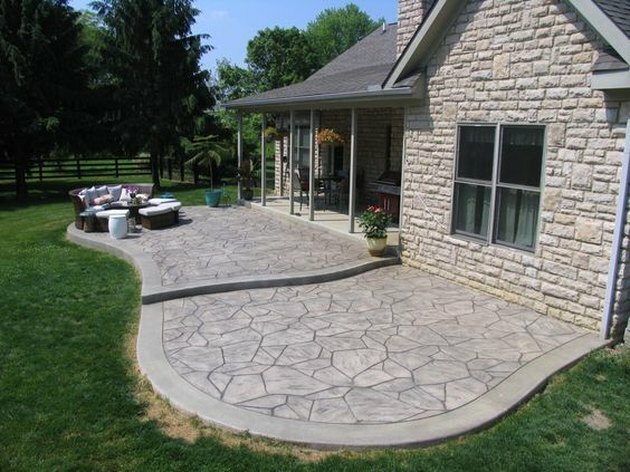 This is one of the most popular stamped concrete patterns around, and if you didn't know better, you probably wouldn't realize that it's concrete! Inspired by natural, fractured stone, this random interlocking design gives us the impression that we're looking at painstakingly laid stone tiles. 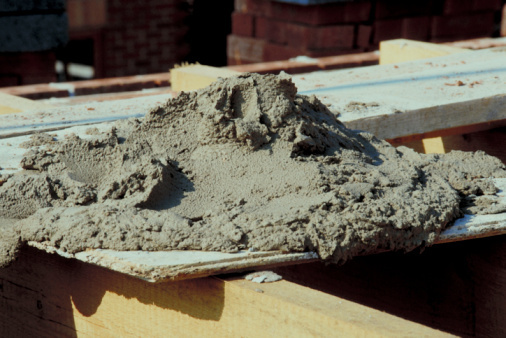 In reality, it's a stamped concrete pattern that's achieved with three imprinting tools. The tools create broken edges and rounded corners that give the appearance of authentic, hand-cut stone. Creating the classic look of a natural clay brick patio might seem time consuming and labor intensive, but with stamped concrete this industrial-inspired design is a breeze. 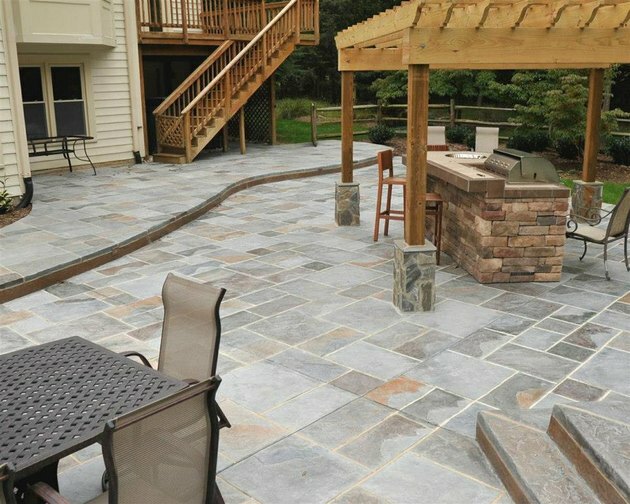 Stamped concrete patio installation requires a fraction of the time and budget that it would take to incorporate real brick flooring into your landscape design, which is always a winning combination! 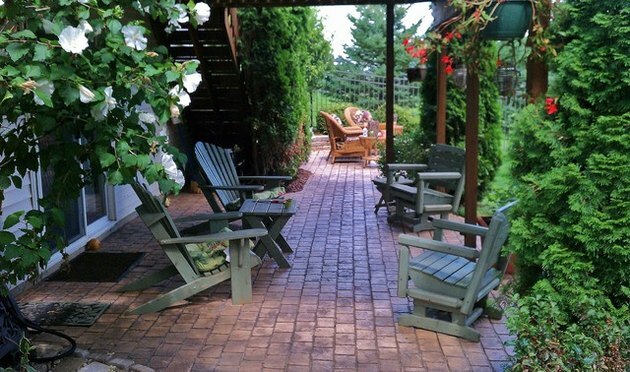 The experts at King Concrete's Design Impressions added a little rustic charm to this quaint backyard by incorporating decorative concrete to the overall patio design. 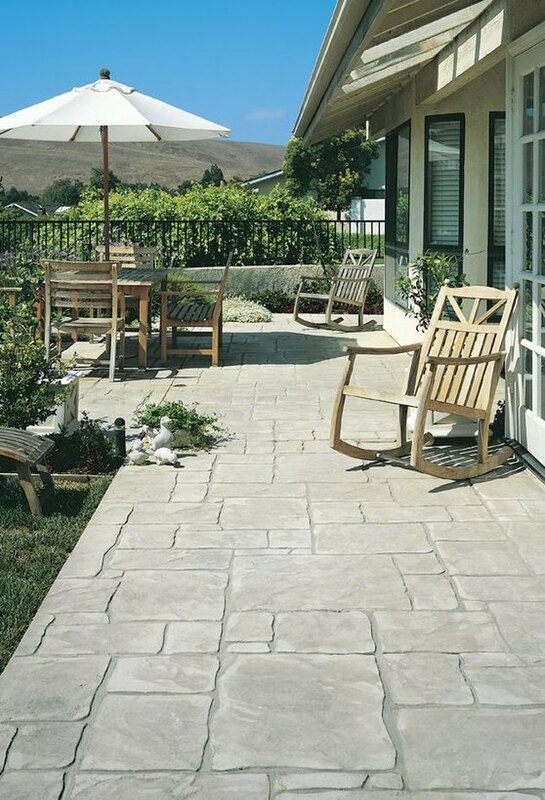 Embossed to resemble randomly assorted flagstones, this stamped concrete style is easily one of our favorites. Affordable, easy to install, unique design — what more could you ask for? Now here's a patio that's truly inspiring. It features stamped concrete that looks like slate tile. The natural looking material adds a warm beauty and richness to this landscape design perfect for summer soirees. 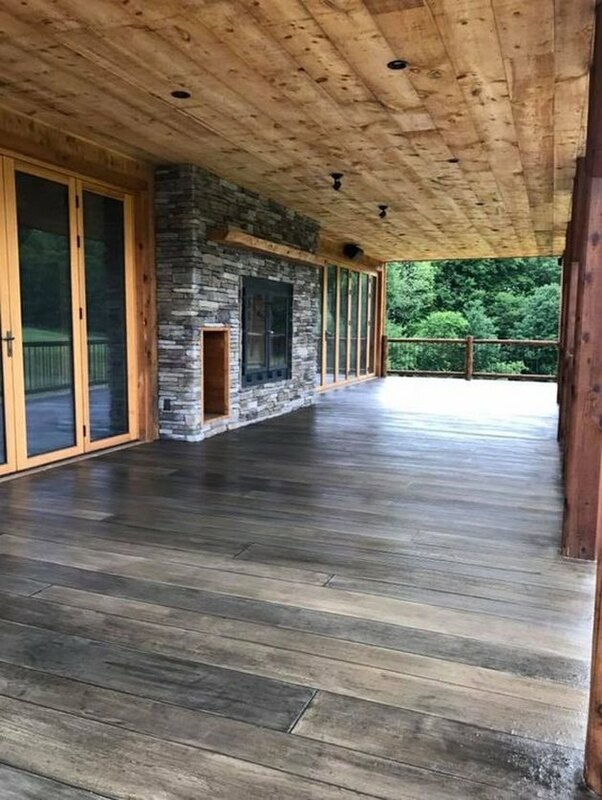 The variation in color means that when it comes to spills you you don't have to worry as much about stains, not to mention, stamped concrete is an easy to clean, low-maintenance material. There is something very old-world about the look and feel of cobblestones. They immediately transport you to another place and time. And while you might love the look, who wants to deal with the maintenance? 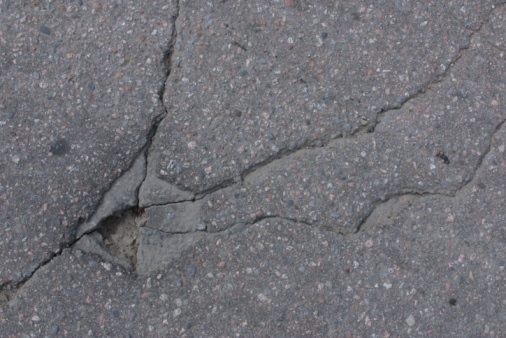 Luckily, you can achieve the same aesthetic with stamped concrete, and bonus: You'll never trip over a loose brick or have to repair a cracked stone. An oversize river stone concrete stamp gives this patio its modern style. 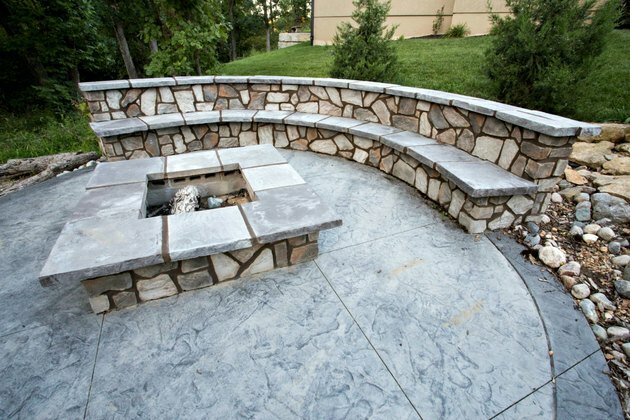 There's a bit of a trade off on the stone veneer that runs along the base of the fire pit and retaining wall, though: While it's definitely an aesthetically appealing addition, it is the kind of labor-intensive detailing that tends to drive prices up.